Ben Saarel, a senior at Park City High, capped off perhaps the greatest season ever produced by a Utah track and field athlete Saturday afternoon by winning the annual Adidas High School Dream Mile in New York City. Running against the fastest prep milers in the country in the Adidas Grand Prix meet, Saarel came from behind to win with a time of 4:02.72 in windy conditions. That makes him the fastest miler in Utah history. According to some observers, Saarel might well have become the fifth high school athlete in history to run a sub four-minute mile if not for poor weather conditions, which reportedly included 25-mile-an-hour gusts of wind. — Ran the fastest 800-meter race in state history, clocking 1:51.13 in last weekend’s state championships at BYU, besting the all-time mark of 1:51.79 set by Alta’s Dan Hutson in 2004. — Ran the fastest 1,600-meter race ever by a Utah athlete, both in state (4:07.95 at the state championships) and out of state (his Dream Mile time converts to 4:01.31 for 1,600 meters). His mile time surpassed the all-time Utah mark of 4:03.04 set by Davis’ Brad Nye while finishing ninth in last year’s Dream Mile. — Ran the second fastest 3,200-meter race in state history, 8:45.74, trailing only the 8:43.36 turned in by Judge’s Luke Puskedra in 2008. 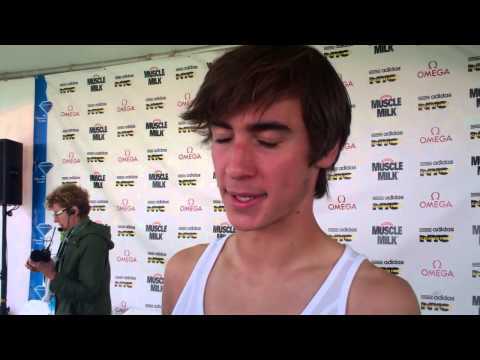 He did record the fastest 3,200-meter time ever run by a prep on Utah soil, his 8:49.08 beating Puskedra’s best by five seconds. Saarel wasn’t the only Utahn to make a good showing at Saturday’s meet in New York. Ogden’s Sarah Feeny finished eighth in the girls Dream Mile and also became the fastest prep miler in state history. Her time of 4:46.24 converts to 4:44.57 for the standard high school distance of 1,600 meters, which broke the all-time record for a Utah girl of 4:48.10 set by Davis’ Candace Eddy in 2007. Shea Martinez, a senior at Davis High, finished 14th with a time of 4:55.50.